As I stated in my previous post, I see only two real competitors for the HX fighter program; the SAAB JAS 39E/F Gripen and the Lockheed Martin F-35A(C?) Lightning II. Here is a short presentation of these. JAS 39E/F Gripen is the latest in a long line of Swedish fighters. It is small for a modern fighter jet, making it cheap to operate, but also meaning its weapons load and range is not quite up to that of some of its competitors. After a somewhat difficult start on the export market, including the failed bid to Finland when the Hornet was chosen, it has picked up pace, and scored a number of successes. The numbers exported are modest, a total of 66 airplanes operated by four foreign air forces, to which a further 36 to Brazil will be added in the near future. However, this still compares well with the corresponding numbers for its major European competitors, at 99 planes in three countries for the Eurofighter and no exports at all for the Rafale. When Finland last time chose to get the F-18 Hornet instead of the JAS 39A/B Gripen, it was a very different aircraft that was offered. The Gripen was just starting to get into operational service, and the memory of the troubled early development phase was still fresh in memory. Compared to this, the F-18C/D Hornet offered a tried and tested airframe, and the CF-188 Hornet had provided stellar service in the harsh Canadian climate for a number of years. To this was added the political dimensions of buying a US-designed fighter in the immediate post-Cold War era. Now, the tables are turned, with SAAB offering a mature design that is starting to show its true potential. 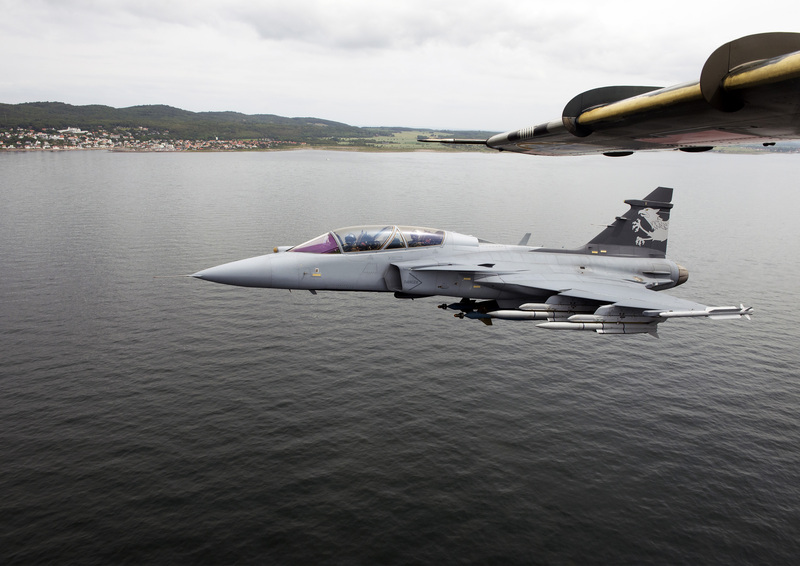 The Gripen has overcome its teething troubles, and is today considered a very safe aircraft to operate, with the last major mishap being when a pilot forgot to lower his gear before landing in 2010. Compared to this, the US offering in the form of the F-35 is the tabula rasa. The coming JAS 39E/F Gripen will feature most of the things expected by a modern fighter, including AESA radar, IRST, Helmet Mounted Display, and a state-of-the-art cockpit. 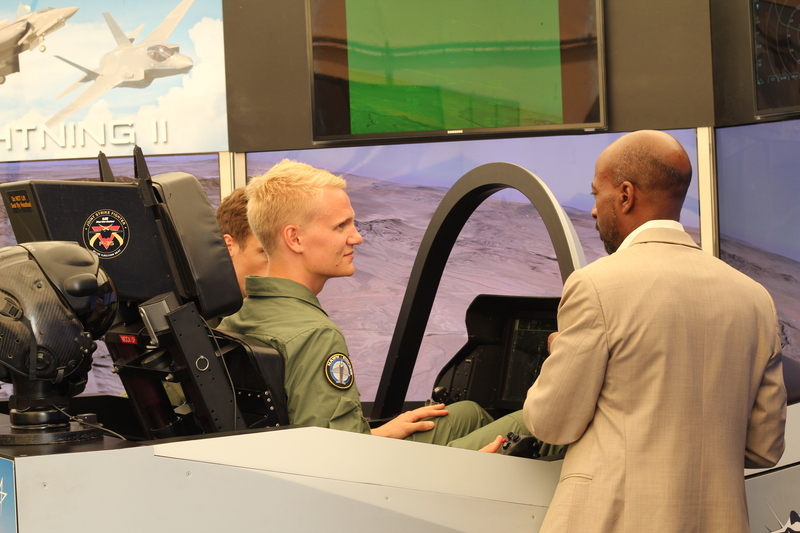 The last feature is something which pilots with first-hand experience of the Gripen likes to talk about, how the Gripen cockpit is designed with the user in mind. For more details about the user-experience in Gripen and “how air combat works on a techno-psychological level”, a sentence I could never have come up with, I recommend contacting former fighter pilot and Libya-veteran Mikael Grev (twitter, blog). While the Gripen wields an impressive sensor array and is cleared for an adequate arsenal of modern weapons, there is no denying that it is an older design than F-35 (although it is a generation newer than the rest of the US competition in the form of F-15/F-16/F-18). Most notably, it is not stealth. One of the main questions for the HX-program will be what kind of an impact stealth will have in a future air war, and what price the Finnish Air Force is prepared to pay for it. Everything points towards the fact that the Gripen will be cheaper to buy and to operate, and that Finland will have a greater influence over its future development compared to the F-35. However, the radar cross-section of the F-35 is noticeably smaller than Gripen’s. As I mentioned in my last post on the HX program, operating the same fighter as our Swedish neighbours (our allies to be? ), would give a number of benefits in the form of commonality during joint exercises/deployments. In times of crises, a re-deployment of Finnish fighters to Swedish bases is also more or less a must (if we have that opportunity), as Russian long-range surface-to-air missiles situated on the Russian side of the border cover most of Finland. In such a scenario, operating the same figher is certainly a big plus. Stealth is often treated as something you’ve either got, or then you’ve don’t. The reality is more complex. The area ‘seen’ by a radar is usually quoted as the aircraft’s radar cross-section, RCS. This imaginatively named characteristic is given as the area of a surface in m2 (or some other suitable area unit). If the number is small, it makes the target harder to detect on radar. Planes with a small enough RCS are defined as stealth aircraft, while those with a lower than average RCS are described along the lines of “having stealth features”. As such, there are no hard numbers that dictate when the RCS is small enough to make an aircraft stealth. This is all nice and fine, but to make things more complicated the RCS depends on a number of things, including angle of the aircraft relative to the radar, wavelength and type of the radar, weapons load on the aircraft, and so forth. An aircraft is visible on the radar when a large enough amount of the emitted energy is echoing back to the aircraft. This means that any aircraft, regardless of the RCS, will sooner or later be visible. The trick is therefore to make certain that you see your enemy, and preferably kill or disable them, before they see you. As such, while stealth doesn’t make you invisible, it will make it possible to get the first shot/first kill. 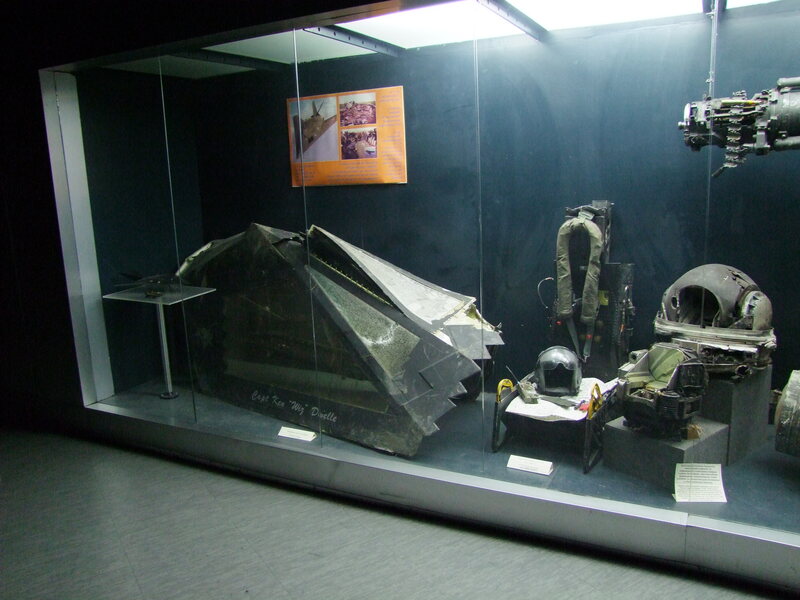 To get around stealth, a number of options are available, including using radars operating on certain unusual wavelengths, or employing other means of detection, such as IRST-sensors (infrared cameras). To counter this, stealth aircraft are usually designed to have small ‘footprints’ also in other categories, e.g. a small infra-red profile. The F-35 is the outcome of the Joint Strike Fighter program, with the aim of creating a single aircraft for the US Air Force, Navy, and Marine Corps, where it will replace the F-16, A-10, F/A-18A/B/C/D, and the AV-8B Harrier. To perform these vastly different tasks, three distinct version are constructed, namely the ‘normal’ F-35A, the vertical take-off and landing (VTOL) F-35B, and the carrier-capable F-35C. On paper, the F-35 is the world’s finest multirole fighter in all aspects (with the exception of the US-only F-22 Raptor in the air-to-air role), being able to load a vast amount of different munitions in both internal weapons bays and on external hardpoints, and then to penetrate deep into enemy airspace to deliver these on target without being spotted. In short, it “represents a quantum leap in air dominance capability”, at least according to Lockheed Martin’s project web page. This sounds good and nice, but the program has also attracted a huge amount of criticism. Much of this is directed towards the demand for a VTOL-version, which created the need for a wide fuselage that significantly affects the aerodynamics of the airplane (ie. it flies poorly compared to many other fighters) and caused major extra development costs. The program has been plagued by cost-overruns and delays, and there is a great debate about the final cost of the production aircrafts, with Lockheed Martin stating that a F-35A delivered in 2020 will have a unit cost of 66 million EUR (USD converted to EUR according to today’s currency rate, non-inflation adjusted). This is a comparable price to today’s fighters, the unit cost for the Finnish Hornets were around 49 million EUR. However, critics are questioning whether these projections aren’t overly optimistic, and some have pointed out that it seems that some of the cost-overruns are put in the account of the F-35B/C-variants, to keep the price of the export-friendly F-35A down. This might not help Finland, as the F-35C is a major candidate for us, being the sturdier variant, and hence more suited to dispersed basing. Apart from cost, the performance of the aircraft has been widely criticized. It doesn’t turn as well as an F-16, it isn’t as durable as the A-10, and if it is to remain stealthy, it can’t carry more weapons than what fits onto the internal weapons bays’ four pylons, of which two are for air-to-air missiles only. One important point of criticism is that the USA have been less than happy to share the ‘inner secrets’ of the F-35. In the most extreme cases, there have been talk about only a handful of top-tier maintenance sites being allowed to perform the most demanding types of maintenance. I am unsure about the current plans for how the F-35 fleets of different countries would be serviced, but if sending the planes to Italy for major checks is the way forward imagined by Lockheed Martin, this is one major problem. On the upside, quite a number of European nations (including Norway and Denmark) seems set on getting the F-35 in one variant or another, and as such one could imagine that pooling spares and information would give benefits in the form of economics of scale. If we were to join NATO, the use of the de facto NATO-standard in fighter design would be a plus. Of note is that all F-35 variants are single-seaters, as opposed to the Gripen which comes in the single-seat JAS 39E and the twin-seat JAS 39F variants. Choosing the F-35 would mean that the flight training program used by the Finnish Air Force, wherein pilots are introduced to the Hornet via the small fleet of two-seater F-18D before moving on to fly the single-seat F-18C variant, would have to be scrapped. In practice, more flights in the Hawk (or in a new lead-in fighter trainer) and more simulator hours would probably be the answer. There are quite a number of valid points of criticism with regards to the F-35. Still, I believe that the negative hype surrounding the airplane is out of proportion. Or rather, it is way too early to judge what kind of a legacy the F-35 will be having by 2025. The F-16 was a ‘second-choice’ fighter when it was clear that a cheaper alternative to the F-15 was needed, and received criticism for draining money from more important projects. The navy also felt that the order was launched too soon, and cancelled its part of the project. Today, it is perhaps the most successful jet fighter ever created. The F-14 went way over budget, and both its engine (in the most numerous F-14A variant) and radar was known for being unreliable. This did not stop it from becoming a true classic. The F-18 was the loser of the LWF program that the F-16 won, and had to fight to earn its place alongside the beloved F-14 on the USN carrier decks. Today, the F-14 is long since retired, while more Super Hornets are promoted as a possible solution to delays for the F-35. The Eurofighter was plagued by technical problems, cost overruns, and delays, but eventually became the first fighter ever in German service not to suffer a single hull-loss during its first 10 years in operation. The AH-64 Apache was extremely close to being cancelled due to rising costs, but is today one of the most widely serving attack helicopters anywhere in the world, with a stellar record in a number of conflicts. In other words: while there obviously have been quite a number of aircraft that truly were bad, the F-111B comes to mind as a good analogy for the F-35, I am reluctant to trash the F-35 aircraft just yet. While I personally would go for the JAS 39E/F based on information found in open sources, the fact is that, all other things being equal, the F-35 will always be harder to spot on radar than any competing offer (the Russian T-50 being the possible exception). How important will stealth be in a future air war? Only time will tell. Another important question is whether we want commonality with Sweden (as well as the Czech Republic and Hungary), or with NATO. The answer depends on major strategic decisions, that has to be taken at the political level. F-18 was never in the LWF competition. However the YF-17 was. From Wikipedia: It resulted in the development of the General Dynamics YF-16 and Northrop YF-17. Late in the program, in 1974, with the promise of European sales, the Air Force changed the program name to Air Combat Fighter (ACF), and committed to purchasing 650 models of the YF-16, adopted as the F-16 Fighting Falcon. The U.S. Navy adopted a modified version of the YF-17 as the F/A-18 Hornet. Yes, the production F/A-18 was a rather different aircraft compared to the YF-17, that’s true. However, it still is a more or less unique case of a “failed” fighter getting a second chance (even if it was in a developed form), and there was a fair amount of critics, asking if the USN really needed a light fighter to make the Tomcat company, and if so, why the YF-17 was to be the base for it? The close connection between the YF-17 and the F/A-18 is also evident from the fact that, IIRC, McDonnell jumped straight to pre-production airframes, skipping the customary XF/YF-18 designations. Any comparison that includes costs and not just hard technical numbers will limp if you only use the purchasing price. If you also include lifetime costs and/or cost per flight hour the F-35 suddenly looks a lot worse for air forces of smaller countries that have to make sure to maximize the operational use of every dollar is spent. According to a comparison made by Jane’s Gripen is the cheapest modern plane to to operate at $4700 per hour compared to $18000 for Eurofighter, 16500 for Rafale and Super Hornet ranged from $11000 to 24000 depending on version. The F-35A is estimated to cost $21000 and the B&C versions are estimated to cost $31000 per flight hour. It is highly unlikely that the politicians will be willing to increase spending just because the air force bought equipment that is expensive to operate which means that the money will have to come from a radical reduction in flight training and exercises, which will translate to pilots that are not proficient at utilizing their very expensive stealth planes to their fullest capacity. Also, it seems that the F-35 is such a hangar queen that it requires special facilities for storing and operating. It lacks thrust-to-weight ratio and comes with a high wind loading. Stealth is not going to be like Lockheed Martin is marketing it. Sensor technology and electrical jamming is going to and has allready surpassed it as the future of military aviation. Russians and Chinese already have VHF+IR systems able to track and lock on to “stelth” targets and they keep getting better at it.